American Rootwork is an academic journal published by Creole Moon Publications. The goal of AR is to provide information and ideas of the formal study of rootwork from the practitioner, practitioner-scholar and scholarly perspectives for the advancement of ethnographic studies, indigenous anthropology, cultural anthropology and applied anthropology, as well as for the professional rootworker. 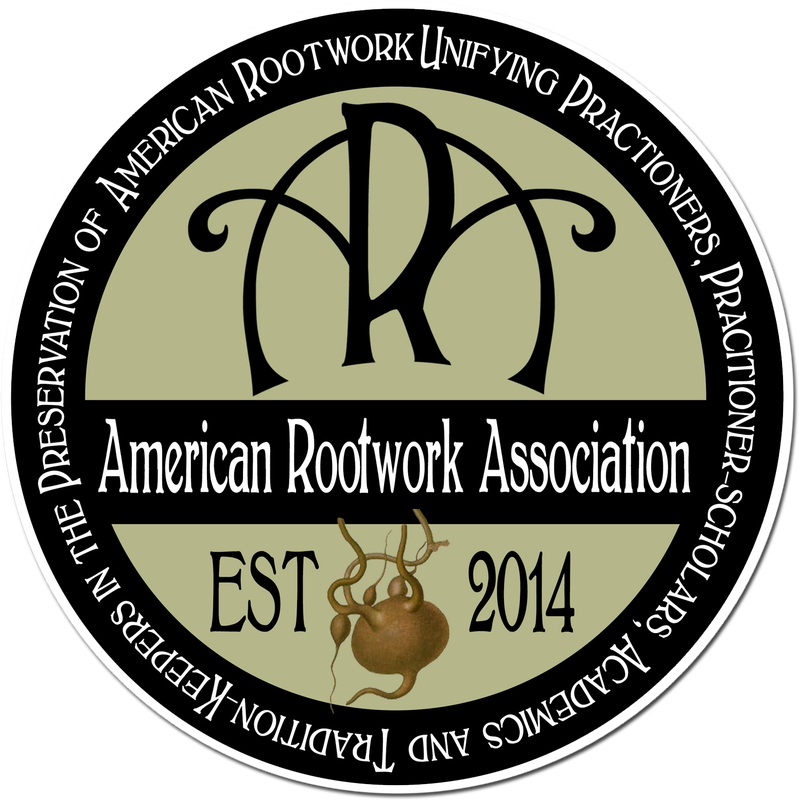 Members of ARA receive a digital copy of American Rootwork as a benefit of their membership. Nonmembers may purchase individual copies of the journal below. The premiere issue of the Journal of American Rootwork contains 4 scholarly articles authored by esteemed members of the academic community related to the topics of Folk Traditions of African-American Slave Religions; Appalachian Folk Healers and Granny Medicine; and international African and African-derived traditions. Note that this is a scholarly journal and not a popular magazine, though we certainly hope the journal becomes a favorite among scholars as well as practitioners. Abstract: The expression, “Home is where the heart is,” is powerfully exemplified in the musical and historical traditions of a familial-intimate church located in an African-American suburban region of Nashville, Tennessee. Oral history interviews from four currently active members of varying ages, surveys from reliable sources, and worship participation and observation conducted at the Bethesda Original Church of God or Sanctified Church in 2014 led to the discovery of undocumented songs and musical practices of this ecclesiastical community. This Christian denomination is a branch of the Church of God or Sanctified Church, which was founded at the beginning of the twentieth century after a separation in the Mount Lebanon Baptist Church in Columbia, Tennessee. Throughout the decades and continuing into the twenty-first century, this church consists of a few families that have not only passed their traditions to younger family members, but have also passed these traditions to their church. This paper discusses the musical practices involved in the church, stemming from the leading figure of the church’s choir, Lillie Bell Martin. Songs composed by Martin, such as “Oh What Joy to Find Them Singing Around the Throne,” musical practices during worship services, and styles of their singing tradition will be discussed as a result of this research. Abstract: Nine Night rituals continue to be common features of Afro-Jamaican funerary practices. Although African deities are not worshipped in Jamaica in exactly the same way as they are in the Yorùbá-based Regla de Ocha, Lùkùmi, and Ifá religions of Cuba and North America, certain Nine Night practices are similar to rituals done for Egúngún, or the ancestors, within Regla de Ocha and Lùkùmi. Using original fieldwork from a contemporary Jamaican Nine Night ceremony, interviews with Regla de Ocha and Ifá practitioners in the United States, and historical accounts of Nine Nights from the 1950s fieldwork of anthropologists George Eaton Simpson and Edith Clarke, this paper will expand on the similarities between Jamaican funerary practices and Egúngún rituals within traditional Yorùbá religion and Regla de Ocha. A second and important theme will be to document the gradual transition in Jamaican society from older folk cultural forms to a new culture that draws deeply on the old forms – the popular music known as Dancehall. This transition is apparent in the syncretism of Nine Night rituals with Dancehall practices. A third theme will trace the shifts of women’s power within the Egúngún societies, in the context of the deity, Ọya, as a template for women in the Dancehall, and a feminist reading of Yorùbá and Jamaican ancestral worship. Abstract: During slavery, slaves were exported from Africa into America, for cultivation of farms. This was however abolished in mid-18th century worldwide. Very few scholars discussed the positive influences of returnee slaves on the indigenous African cultures; talk less of architectural influences, particularly in Ijebuland. This journal article is a historical study of cross-cultural influences between Islam, the Ijebu returnee slaves from Brazil and indigenous architecture of Ijebuland, SouthWestern Nigeria. With particular focus on their forms, it examines the influence of Ijebu returnee slaves on five early mosque structures of Ijebuland located at Taosiri-Epe, Ayepe, Isonyin, Mamu and Lagos-Epe. Mosque is a very significant architectural structure of Islam for congregational prayers. The research method involved the observation of the interior and exterior of the mosque structures; and interviews with the adherents of Islam in the areas. Documentation was carried out in photography for further works and analysis. The objectives are to determine the influences of the Afro-Brazilian styles the returnee slaves brought home and examined their contributions to the evolvement of local Islamic identities and modernization of indigenous architecture. The study also verified the attitude of Islam towards aesthetic embellishments and its tolerance in indigenous cultures. Abstract: It is early morning in the southern highlands of the Appalachian mountains. A woman neither young nor old, but with a firm step, walks towards the wooded area a half block from her house in an urban neighborhood. She carries an old-fashioned wicker clothes hamper dangling from one hand. In the hamper, one can find some sharp secateurs and a pair of leather gauntlets. The neighbor’s cat follows her as the sun creeps above the eastern hills. She follows a narrow path that winds around the low hill and comes at last to a ridge overlooking the historic mill district of her town. She squints into the sun, watching the early chip train winding its way beside the third oldest river in the whole world. The hill behind her is covered with richly green weeds, their tassels smelling faintly of cat urine. She smiles at the train as its whistle wakens the tourists and lay-abouts, and pulls the gauntlets out of the basket. The pale leather reaches up over her rolled-up flannel shirt, going almost to her elbows. The secateurs are light and she snaps them open and closed a few times as she turns to her work. It is time to harvest the nettles for their nourishing rich tea. It is springtime in Appalachia. ​*Note that the premiere issue is scheduled for release Summer 2018.